Bill Ivans - one of our very special heroes in the Hall of Fame. He served our sport in many areas - world record setter, world competition pilot, top management in both the SSA and FAI. He even had an award named for him - The William S. Ivans Gold Medal. To quote a former SSA President (Larry Sanderson): Bill Ivans "was a true hero of the sport. In over 40 years of soaring he had amassed a record of achievements that was unparalleled, his personal integrity and honor were unquestioned, he was at the center of virtually every pivotal point in the sport since the 1940s and he was a much admired man." Bill Ivans was active on both a national and world level. He was the USA delegate to CIVV and its predecessor CVSM (both now IGC) for many years and served as the president of CIVV for 14 years. He served as SSA President in 1963 and 1964 and Vice President in 1957 and 1958 and again in 1961. He was Chairman of the Contest Board through some difficult situations. As described above, he served internationally. He set world and national records and competed in world and national competitions. 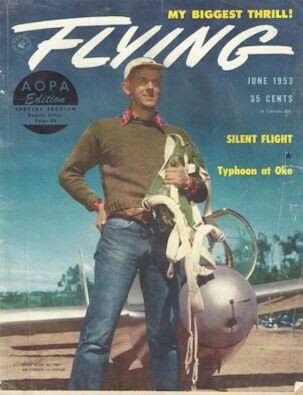 Perhaps his most acclaimed record (see magazine cover above) was his altitude flight at Bishop, California on December 30, 1950 flying his Schweizer SGS 1-23 - 12,832 m (42,090 ft.) absolute altitude and 9,174.5 m (30,100 ft.) altitude gained. Bill Ivans lived in San Diego and worked for General Dynamics/Convair, as CEO of Cohu Electronics and ultimately for himself. 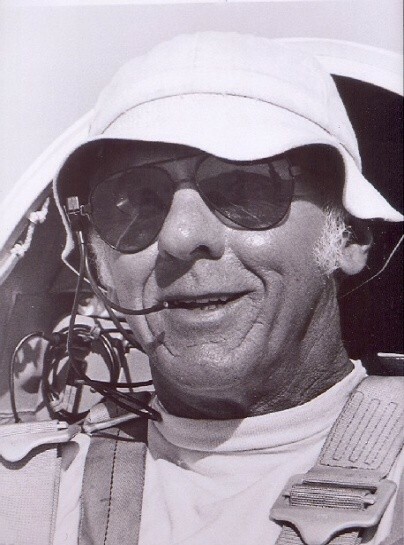 Bill Ivans was awarded the Lilienthal Medal in 1950, the Tissandier Diploma in 1967, the Air Sports Medal in 1991 and the FAI-IGC President of Honour. The SSA awarded him their most prestigious trophy, the Eaton, in 1951, and the Exceptional Service Award in 1965, 1970 and 1989. He gave the Barnaby Lecture in 1989. Bill earned Silver 2 #102 in 1947, Gold #23 in 1950, Diamond #5 (Intl #9) in 1952 and the 1000 K Diploma #22 (Intl #57) in 1985. Bill tragically lost his life in 1999 while flying his Nimbus 4DM with good friend Don Engen, Director of the National Air and Space Museum and retired Navy Vice Admiral.